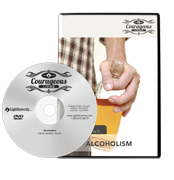 Price for an individual is $19.95 per person to receive a copy of the DVD presentation and written material. Please email: dr.dianemccollum@gmail.com to arrange group bookings and payment. Parenting a teenager can be one of life’s most challenging and rewarding experiences. Dr. Hart Weber has walked that road herself, as well as shared with countless other parents who have teens. She shares insights, practical tips, and offers encouragement for handling the variety of issues facing parents of today’s adolescents.